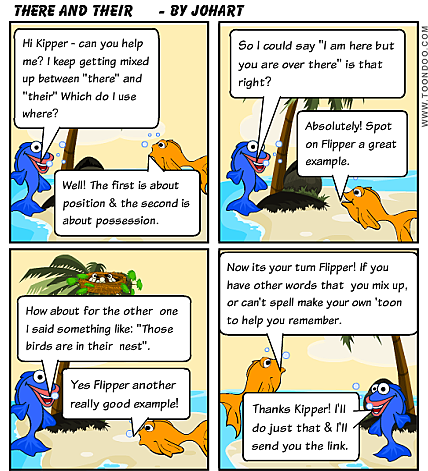 Is spelling important to help you read? There is a current tendency to treat spelling as not very important in the overall scheme of learning to read and write effectively. A common urban myth still circulating on the Internet provides a paragraph of jumbled words. This then goes on to suggest that we can all still read the pragraph despite the misspellings of most words! Susan Jones in a paper on Spelling City http://www.spellingcity.com/importance-of-spelling.html raises this, and points out that fluent readers are the ones able to read this text. She goes on to discuss in some detail the value of being able to spell as an aid to reading effectively. Learning the spellings of common words, so that they are as well known to you as your times tables should be in maths, will help you read faster and more effectively. Most people who read slowly find it harder to understand what they read, and also often find reading boring. One of the ways to improve your reading and your spelling is to be sure you have learned what are called the “sight words”. There are around 200 of these and they make up 50 to 70 percent of any general text that you are likely to read (or write). So you can see that if you learn their spellings and meanings it will make you a much more effective reader and writer. The main problem in becoming a good speller is that spelling isn’t easy – you need to work at it to become good! Just as, if you play sport you have to work at the building blocks for example practising/staying fit and learning the rules. However much natural talent you have in sport it is no use to you unless you practise/stay fit and know the rules of the game – the same is true of spelling. There are rules, but of course as you probably already know, all English spelling “rules” have words which “break the rule”. So the bottom line is that you have to work at spelling – find some strategies that work for you and help you to learn the spellings of particular words. This is especially important for “sight words” and those words that sound the same but have different meanings. Just as with all the other written work you have done you will need to structure your Current or Environmental Issue report to make sure it contains all the information that the task asks for. Again in common with your other work you will need to do a draft first. why the issue is significant. why the issue has arisen (reasons). 5. A conclusion which sums up what you have written. 6. A bibliography, this must be a list of all your sources of information including books, newspapers and website links where you have used information from the Internet. There is a template here that you can use to help you plan your research and your report. Click this link Research Planning Template to download the template. The amount you need to write and the depth/amount of information you need will differ with the Certificate level you are completing. At the higher Certificate levels you will need to write in much more depth and detail than in this example. Please check with your lecturer if you are not sure. 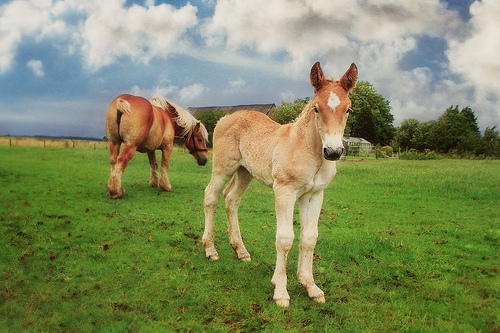 Underwater image: photohome_uk, link: http://www.flickr.com/photos/photohome_uk/1495438762/. This report considers the issue of shark attacks on workers in the underwater basket weaving industry. It will consider the facts and give an opinion about the issue. lead to the loss of half completed baskets as they become soaked in blood. The weavers, the industry managers and of course the sharks play a part in this continuing issue. There are many effects from the attacks. The main effect is from the death of individual weavers in attacks. This affects the families of the dead weavers and reduces the profits of the industry who then have to replace and train new staff. There are also impacts in the wider community as regular shark attacks make tourists less willing to visit the area. This issue has arisen because of a change in the variety of seaweed used by the underwater basket weaving industry. In the past they used the species Fucus weavicus however a decline in the availability of this has meant the industry changed to Laminaria smellicus. Unfortunately, when this is cut underwater, sharks are attracted because it smells to them like fresh blood. This issue is very important to the industry. They need to search for a solution to reduce the number of underwater basket weaver deaths resulting from shark attacks each year. Because the industry is offshore it does not have the same health and safety controls as it would if it was land-based. This my opinion because of the economic and human impact of the increased shark attacks since the introduction of the new seaweed in 2008. There was a large increase in the year of introduction and a continuing steady rise since. This needs action before it makes the industry completely uneconomic. 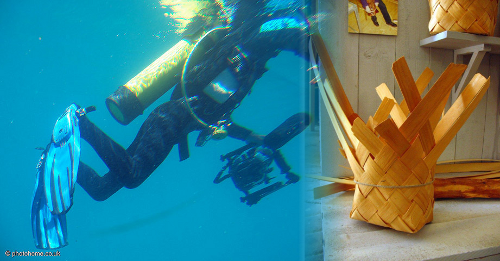 There has been an increase in the number of underwater basket weaver deaths from shark attacks each year since the introduction of the new seaweed weaving material. This has had many impacts on the industry. For the industry to continue a solution needs to be found. You can use the report above as a guide for how to put together your own report as a draft blog post. A well designed publicity leaflet can make a very large impact on the people you are trying to reach. Your leaflet should look professional and convince the reader that the organisation, product, service or event is of very high quality. Below are some design ideas that will help you in creating a high quality product. Decide on the audience. For example, if you are publicising/seeking members for a sport club for children will your audience be the children themselves or their parents? The audience will affect the words you might use in your leaflet and might also have an effect on the images you choose. Write the content next. Keep it simple – use short sentences, simple vocabulary, and short paragraphs. This will make your message more effective and easier for your audience to remember the main points. Choose a size that allows you to include your content without it looking overcrowded but also avoids too much empty (white) space. The size should also suit your purpose. 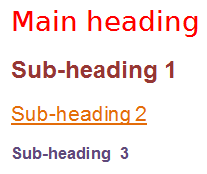 Organise the text with headings/sub-headings. These headings are very important – they need to contain the whole message because many readers will skim read these to get the gist (overall idea) of the content. The text below the heading should expand on your message. Contrasting colours are good for catching attention but take care not to overdo the colours. Make sure that text stands out from the background and the headings also stand out from the rest of the content. Use images (graphics) that support the content. Don’t use them just because you like them. Emphasise your message by using text and graphics side by side. Images are good for making an impact. Colour images have been shown to hold the attention of readers. If you have a logo then use it to add more impact. Contact information is vital and must be accurate check the phone number, company name (spelling), full contact information, emails, websites etc. NOTE if you are making a leaflet as part of your studies you can invent contact details but be very careful that you do not accidentally use real details belonging to someone else. Make sure that if other information is necessary that you include it – for example: opening hours, prices/costs, regular meeting times, regular match/game/coaching days and times. Publicity leaflets need to be eye-catching, they also need to keep the attention of the reader once it has been “grabbed”. Knowing your audience, using the strategies you have already learned for visual texts and planning your layout carefully will help you achieve this. Simple instructions don’t always need images to make them more effective. For example recipes often don’t have images, and if they do they may often just have a picture of the finished item. 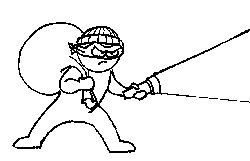 However to make your instructions more effective it often helps to include one or more diagrams or other images. Instructions are more effective if the number of words used can be kept fairly small. The old saying that “a picture is worth a thousand words” is very relevant for writing instructions because using an image with labels can remove the need to write long descriptions. 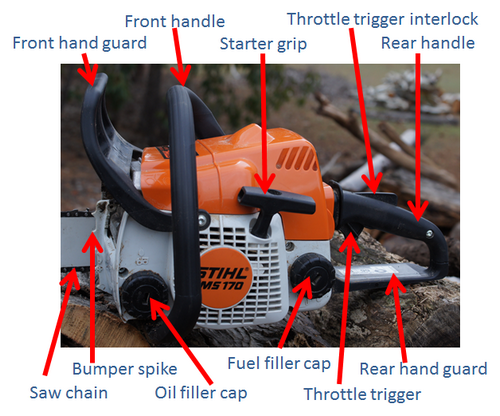 For example the labelled picture of a chain saw below would save many words in instructing how to find the “fuel filler cap” and fill the saw with fuel. Including the picture and referring to it from the instructions saves writing a detailed description of the “fuel filler cap”, where to find it on the saw, and how to distinguish it from the “oil filler cap”. It is possible to make instructions even more visual especially if you are writing a “how to” that involves a computer application. 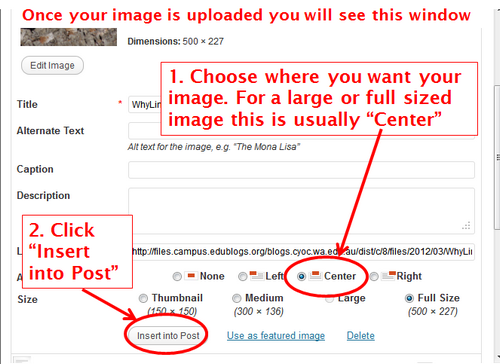 This can be done with numbered steps on screenshots as in this one for positioning and inserting an image in your blog. My own preference for adding visuals to instructions is to use PhotoFiltre and Powerpoint as described in the Slideshare below. I create and save my labelled/annotated images, these can then be inserted directly into: blogposts, presentations or documents with the mimimum of effort. View more presentations from Jo Hart. 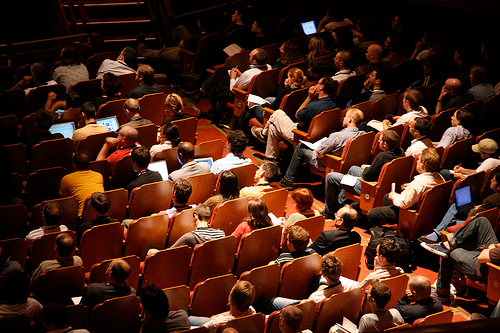 Audio-visual instructions are becoming more and more common using screencasts and/or video. However these have a major disadvantage in that it is difficult to refer back to one point somewhere in the middle of the instructions without having to replay the entire sequence to find the bit you want! Using audio-visuals is therefore best kept to VERY short activities such as this screencast on attaching files to emails. There are many different ways of preparing visuals for inclusion in instructions. The one described above is the one I use because it works for me. Please comment on whether you think it will work for you – why or why not? the overall timeline and fitting it all together – remember sometimes you will have to wait for feedback – so is there something from another stage you can do while you wait? If your story is being made in an online application with existing artwork images you will need to find images on the site that illustrate your points well and that you can use for each page of your story. If you are using images that you find for yourself you need to consider where you will get them – will they be your pictures or from elswhere (remember copyright). How long will it take to find and edit images so that they will fit without making your file too big. Remember that you MUST credit image sources and creators. If your story was going to be an audio narration this would be called “writing the script” Because we are using text you will need to write your story as a “story”. 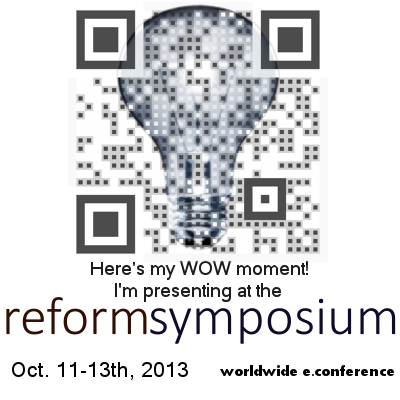 To help you think about the structure of your story you may need to look back at the story examples from the Symbaloo Webmix of Story Links. Also you can research on the Internet for stories about similar topics to your own chosen one and see how these are put together. Once you have drafted it is time to get feedback and do the editing and redrafting process. Think about how long each part of the story writing will take – you will need estimates for your project plan. Once you have planned your story, sorted out the sequence of images and written your text it is time to put it all together as a draft using your chosen application. This is a good time to add any page titles, and also to add credits – usually a page at the end acknowledging help and information sources. Again you will need to get feedback and “polish” your story before finally publishing it and either linking from or embedding in your blog. The information in this post should help you in planning your story making project. You will need to plan and manage your own time for this project over the three weeks of the project. Digital stories take many forms, often they are a series of images with music and voice over. However we are going to focus on making digital stories that use text with images rather than audio. 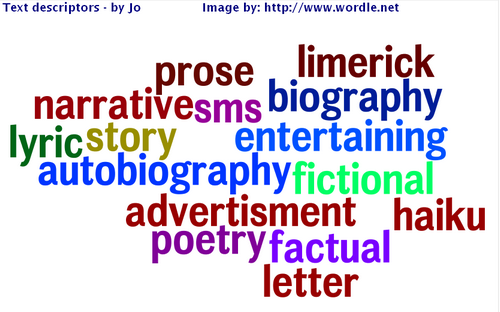 Some ideas for topics, your final story doesn’t have to be one of these, they are just to help you start thinking! To help you make a final decision on what your story will be about it is a good idea to share thoughts and ideas with others, you can do this through your blog. However you will need to write short outlines of your stories to share. Here are examples to help you. then carry out any necessary aftercare. Story outline 2. One of my favourite places to visit is the Avon Valley National Park near Toodyay. This story will describe a visit to the National Park during the wildflower season. 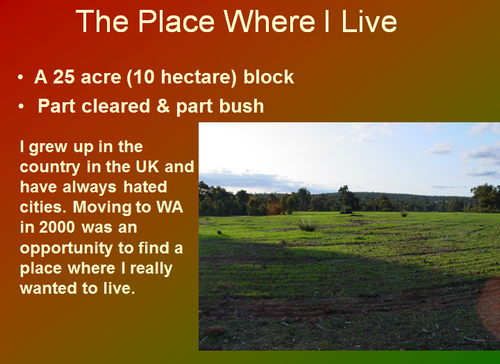 I will describe the Bald Hill lookout area and also the river valley. Images to illustrate the visit will include scenery and wildflowers.